Greetings from Alaska! 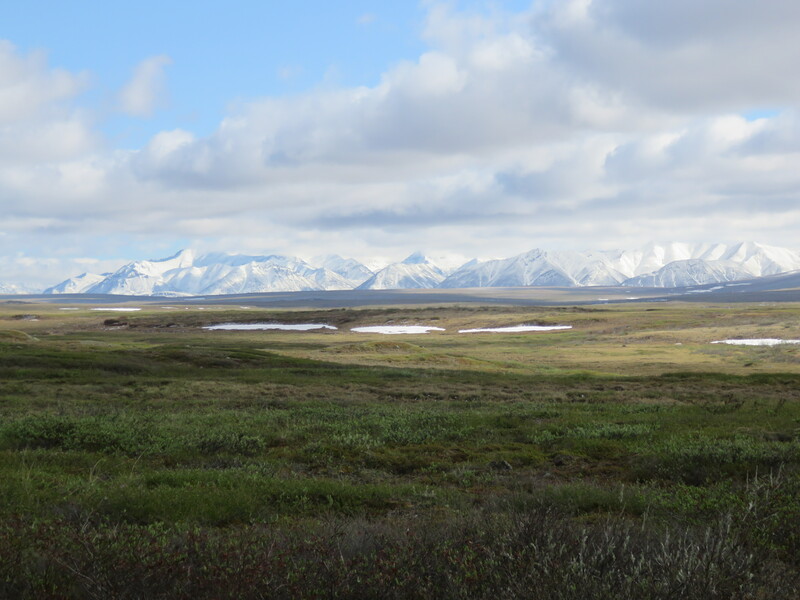 For the next few months, I’ll be sharing occasional photos and updates from my field work at Toolik Lake Field Station studying a small migratory songbird- the Gambel’s White-crowned sparrow. Spring reaalllly early in Alaska this year with record setting warm temperatures. (On May 23rd, some weather stations reported that Fairbanks, Alaska hit higher temperatures than Phoenix, Arizona!) 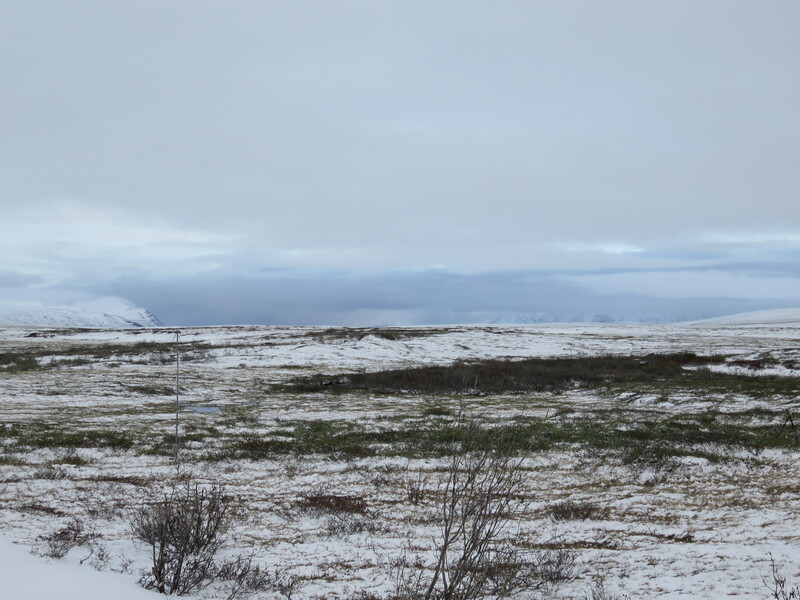 By the time I arrived at my field site, which is just 117 miles south of the Arctic Ocean, the snow had been mostly gone for several weeks. My first day in the field I even found a completed nest with 5 eggs! This is my 4th season in the Arctic and this is the earliest I have ever seen spring arrive. In 2013 and 2014 some of our field sites were not snow-free until mid-June and birds hadn’t even started building nests when I arrived, let alone laying eggs. It’s going to be interesting to see how the birds respond to this year’s different weather patterns. Despite the warm temperatures we experienced to start the season, the weather in the Arctic can change in an instant. It’s a running joke that in the tundra you really can expect to see all 4 seasons in a day. If there is one thing that you can count on in field biology (especially in the Arctic) is to expect the unexpected. Over the next few months I’m sure I’ll have some to surprises to share as the field season unfolds. Previous Post Best (Elephant) Friends Forever! Do elephants need besties?